DA Honeybees are happy to pass along this important message from the warm-hearted, generous fans at Hearts and Hands. Their Pay it Forward campaign is an ideal way to share David Archuleta’s holiday music with our family and friends and grow new fans in the process. “I know that many of you fans are planning on gifting Christmas from the Heart this holiday season. Why not give it as a hostess gift at your Thanksgiving celebrations? After the lovely dinner, maybe the hostess would play it for all to hear!!! It would be a great way to usher in the spirit of the holiday. It may encourage others to put Christmas from the Heart on their holiday gift list too. One of our members came up with this great poem to add to your gifted CD as a Pay it Forward campaign. If just half of the people who receive your gift of David’s CD turned around and bought one for someone else, we could spread the true spirit of Christmas to many more people. It is surprising to find others who have never heard David sing. It’s all about love. It’s all about sharing. Will fill you with joy, the moment you hear it. If your heart has been touched, please don’t delay. Please pass on the love David is sending your way! “Pay It Forward ” to others, so his spirit never ends. Share this with others…gifting “Heart” is my cry! May you and your loved ones share this beautiful season. “Christmas from the Heart” helps us remember the reason! Pretty good idea. Thanks for the info. I plan on having a mid November luncheon here for all the guys at work so I will definitely have David’s CD playing while they are here. I’m sure they’ll be blessed! I’ll print out this poem too and pass along this wonderful idea. 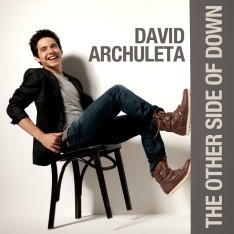 others instead of to ourselves, is a perfect way to spread the word about David’s amazing gifts. Giving his Christmas from the Heart cd at Thanksgiving is a wonderful way to bring in Christmas. And it will definitely put Christmas from the Heart at the top of gift lists. Thanks for the idea – there’s time to order a dozen for my Thanksgiving celebration.